Recently at a seminar in Delhi Army chief General Bipin Rawat said that attempts were being made through “external linkages” to “revive insurgency” in Punjab. “Let us not think that Punjab (situation) is over. 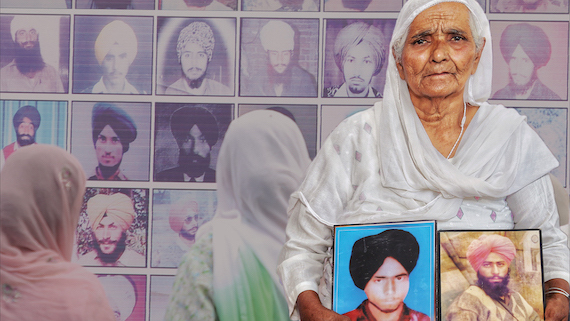 We cannot close our eyes to what is happening in Punjab. And, if we do not take early action now, it will be too late” he said. Former UP DGP Parkash Singh also echoed General’s observation. Within 10 days, the General underlined this “external” element for the third time, stating “While outsiders will attempt to revive militancy, the people, are very strong, will not allow it,” while speaking at an army function in Pathankot on November 12. While there can be arguments about Chief of Army Staff expressing apprehensions about law and order situation in a state, we are confining here only to one point – internal linkages – which General Rawat apparently missed when he argued that internal security was one of the biggest problems in the country and “why we have not been able to find a solution, because it has external linkages”. The latest and biggest terror strike in Punjab in around a decade was a deadly blast at Maur Mandi town in district Bathinda on January 31, 2017, just four days before the assembly polls, in which seven persons were killed including four children and it has already come out that the case has very strong Swadeshi (internal) linkages. However, we have not been hearing any army general, politician, former intelligence officials, former or serving top cops – who often delve in great details as they discuss apprehensions of trouble in Punjab, talking about this biggest terror strike in Punjab. Bizarre. Isn’t it? The blast was apparently aimed at Sirsa Dera chief Gurmeet Ram Rahim’s close relative and Congress candidate from Maur Mandi assembly segment, Harminder Jassi. Latter had a narrow escape and his personal assistant was among the seven killed. In February this year, Jassi himself claimed that he was the target of the blast. Jassi’s daughter is married to Dera head’s son. A day after the blast, Punjab DGP Suresh Arora had termed it a “targeted terrorist crime” and it was also reported in sections of the media that in his briefing to the Election Commission he had flagged “credible intelligence reports” suggesting that certain foreign-based militant might stage a terror attack to create communal rift and chaos ahead of the polling day on February 4. Chief Minister Captain Amarinder Singh had termed it a “senseless act of terrorism”. 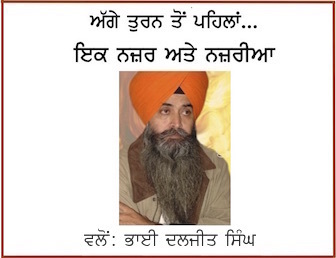 Former Punjab DGP K P S Gill had reportedly said that the blast was “very very serious”, claiming that he had “predicted that because of the activities of certain political parties there will be terrorist incidents.” From “certain political parties” Gill meant AAP as he had said, “AAP is providing a platform to radical Sikh diaspora settled abroad in order to create a big base from which to operate”. Then-deputy chief minister and Shiromani Akali Dal (Badal) president Sukhbir Singh Badal, who also held the Home department at that time, was unequivocal in pinning the blame on AAP chief Arvind Kejriwal and Sikh radicals for the blast and alleged hobnobbing between them. “Whatever has happened in the recent past, including the blast last night, occurred due to the support extended to radicals by AAP. Kejriwal has openly courted radicals”, he had said and named Sikh militant outfits while alleging they’re hobnobbing with AAP. However, after a major breakthrough in the case nine months back, the eloquence and clarity of thoughts and expressions have been replaced by complete silence of the political and police establishment of the state. 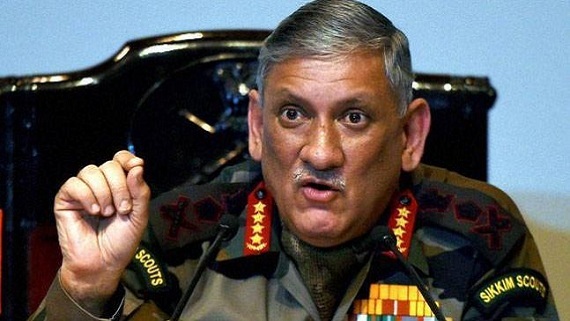 Indian Army Chief Bipin Rawat (File Photo). In February this year, exactly a year after the blast, Punjab Police SIT headed by DIG Ranbir Singh Khattra cracked the case. However, it came out that these were not “certain foreign-based militants” or “external linkages” for this terror attack but the internal elements, whose “spiritual head” was certainly not known for hobnobbing with AAP and remained bedfellow of SAD, BJP and Congress at different times before he landed in Sonaria jail in Haryana. The motive of the blast is yet to be heard from the police brass if it was aimed ‘to create communal rift and chaos ahead of the polling day’ or just to eliminate Jassi or to achieve both the targets. The blast and the quick allegations by Badals of involvement of Sikh radicals and implicit suggestions by cops and “experts” on the same line helped to create fear among Hindu voters and the common refrain among politicians and political observers was that they voted against AAP. The SIT got recorded statements of four witnesses before a magistrate who revealed that the car used in the terror act was painted and prepared in that workshop of Sirsa Dera head where only latter’s cars were modified or repaired. SIT has already named three suspects in the case – all from the Dera, including in-charge of the workshop, Dera head’s security guard and an electrician there – and has got them declared proclaimed offenders. However, unlike the hype around cracking important cases or still being planned plots, when top police brass rush to the town to claim credit and to dish out the details of the plot and the profiles of the accused, their linkages including foreign hands etc. with a lot of clarity and authority, no such enthusiasm has been visible on the part of the Punjab Police top brass or Punjab government to claim credit or to provide the “explosive” (sometimes exclusive also) details in this blast case. Whatever information has come out is through informal channels or SIT chief has just been confirming the basic information after journalists would ferret it out. Top cops have been refraining from commenting on the case saying investigations are still underway. But the investigations were still on when they issued detailed statements in other cases related to “terror plots” still at planning stages, busting of sleeper cells or the modules. Is it not bizarre that nobody wants to talk about a terror case, nine months after the breakthrough, in which a highly protected candidate (whose party comes to power with impressive victory) is targeted in a bomb blast in Punjab (where situation, in Gen. Rawat’s words, is not over) and seven persons are killed? What really stops the top cops and political establishment of Punjab from claiming credit for cracking the case or even talk about this “very very serious” “targeted terror attack” or “senseless act of terror”, while they have been talking and reiterating about the handlers in other cases? Why should this case not be part of the lectures on terrorism? Notably, a year and a half before this blast major attempt to disturb peace in the state was made through a series of major sacrileges and now latter have also been traced to the Dera. Badals had claimed a foreign hand in sacrilege cases also. For the record, there is nothing in the public domain till now which suggests that something has been done to question the Sirsa Dera head, his number two or three in this terror case which was apparently plotted right inside the Dera. This contrast in the approach appears to be suggesting that this particular terror case is being treated differently, at least in the public domain, if not at the investigative level. But then the entire discourse, as well as rhetoric on terrorism is happening in the public domain. Should one not draw the conclusion that silence on this terror case is selective as this does not fit in the narrative on terrorism and it embarrasses the big political parties? Courtesy: Above write-up was originally published by The Times of India Blogs under title: “Did Army Chief miss mentioning “internal linkages”on actual terror in Punjab?” by IP Singh at source url: https://timesofindia.indiatimes.com/blogs/punjab-point-blank/did-army-chief-miss-mentioning-internal-linkages-on-actual-terror-in-punjab/ Its reproduced as above for the information of readers of the Sikh Siyasat News.